Kawasaki ATV parts that will definitely meet your high expectations! Are you sick of visiting offline stores for buying Kawasaki ATV parts again and again? Then CMS brings you a versatile online shop for purchasing everything related with Kawasaki. We possess parts for many ATV models that let you to lower the downtime and you can get back on the trail within short time. Products at CMS offer value for your money! We have demonstrated our products with easy to understand schematics and diagrams to make it a painless buying experience for you. Our product catalogue covers items related to various models such as Kawasaki KLF 300, Kawasaki KLF 400, Kawasaki KLF 220, Kawasaki KLF 300 quad, Kawasaki Bayou 300 ATV and many others. When quality parts of CMS will be installed in your vehicle, you will be ready to accept any difficult challenge. Whether it is back roads, small trails or rough tracks, you can handle every situation with confidence. 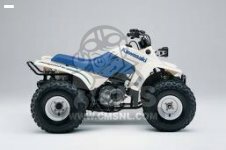 Of course, our extensive range of Kawasaki ATV parts offer better control because we keep safety a top priority. Here you will find Kawasaki ATV parts that you even don't know about. You can get acquainted with such products by reading product description of the particular item. 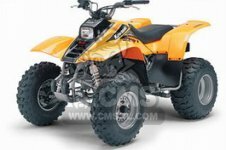 Some of our highly popular items include Kawasaki ATV aftermarket parts. We give extreme important to customer privacy and that's why we never share customer information with any other business partners or companies. The information collected from our buyers is used only to served them better and process their orders on time. We prefer to keep things very simple that allow us to achieve fast turnaround. Online shopping of motorcycle parts at CMS is never time-consuming and it is very safe. It takes you from one step to other and offers you a smooth buying experience. So don't waste more time and book your order right now!